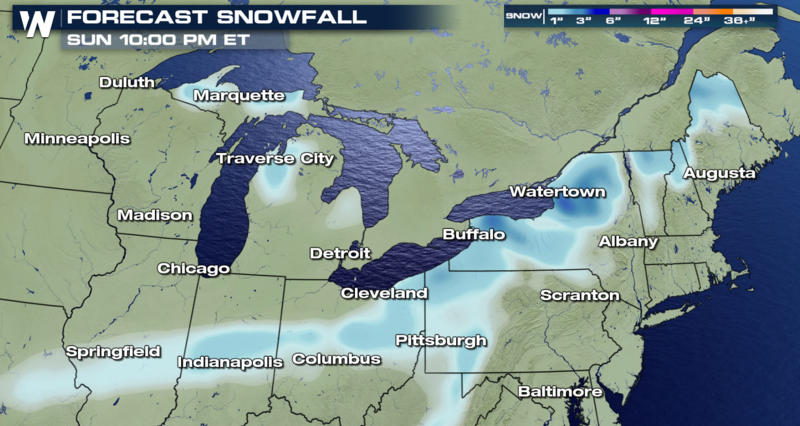 Lake effect snow will continue across the Great Lakes to end the work week. 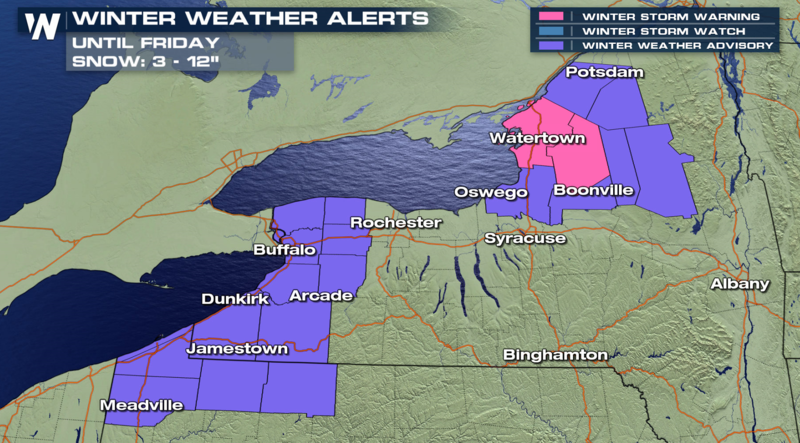 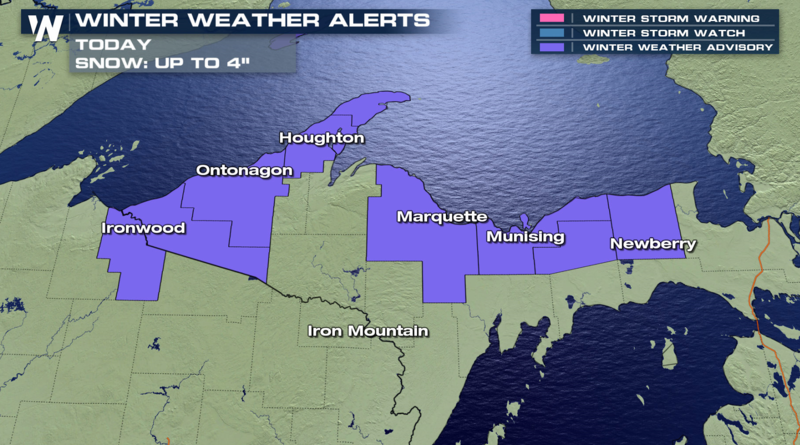 Winter Weather Advisories extend from Upper Michigan to Upstate New York. 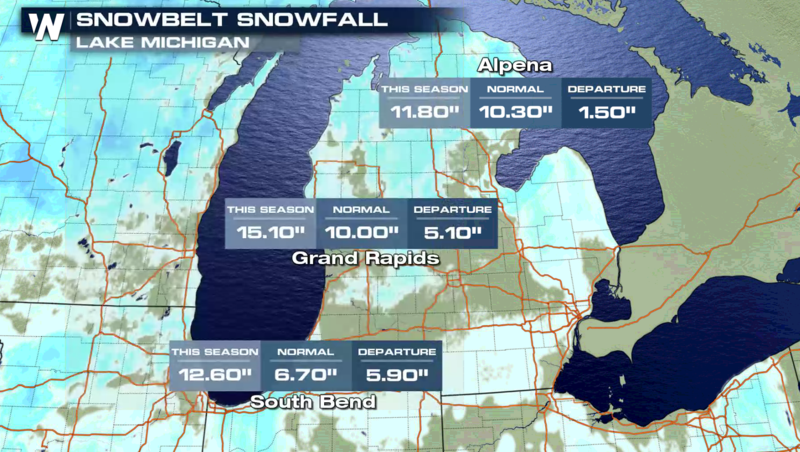 Most totals will be in the 3″ to 6″ range, but a few areas could see near a foot of fresh powder. 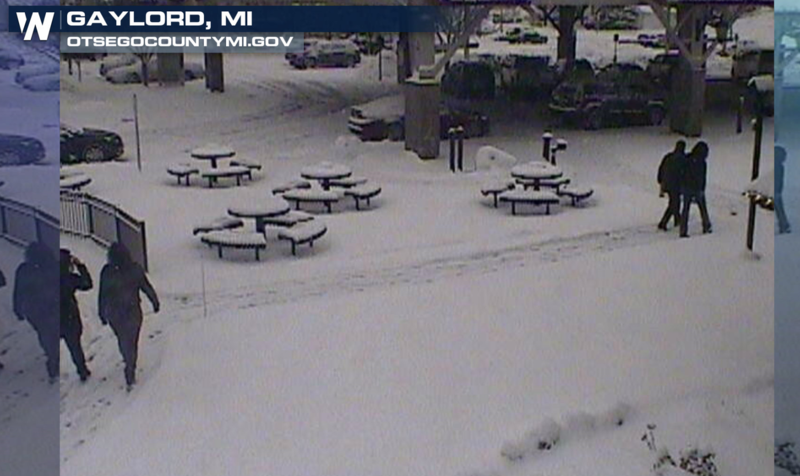 The lake effect snow belts have been producing plenty of snow this season, with well above average accumulations in Michigan. 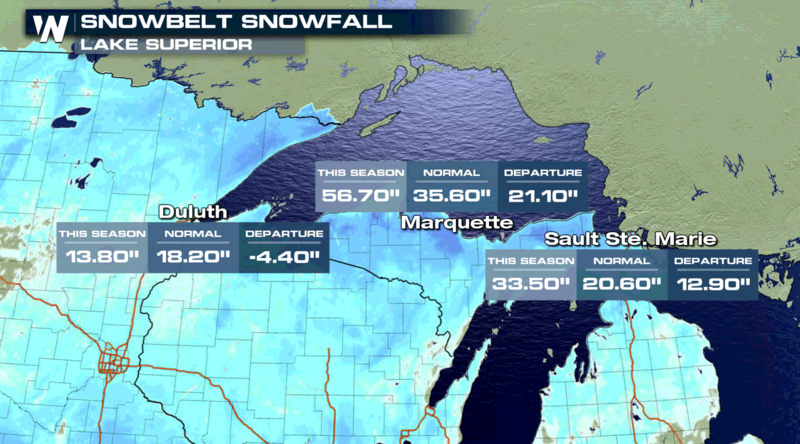 Lake Superior has been especially active, with Marquette and Sault Ste. 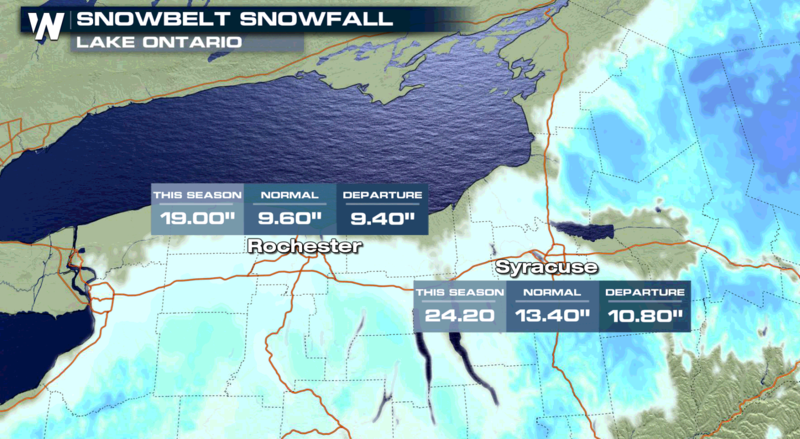 Marie 1 to 2 feet above normal. 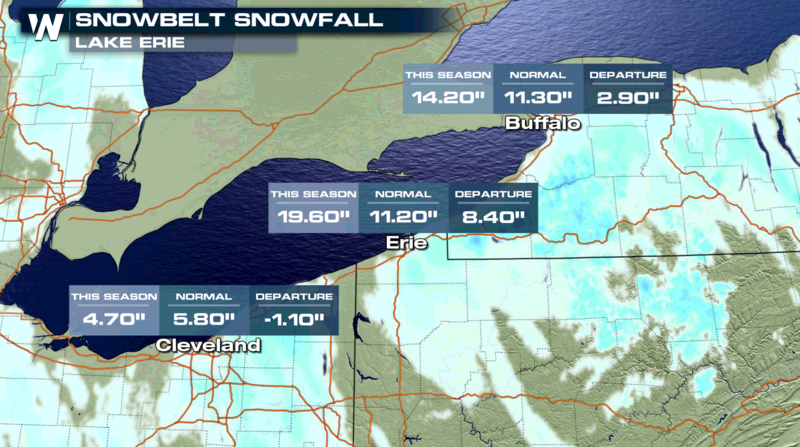 Lake Erie and Lake Ontario have been active as well, with most locations seeing greater than average snowfall. 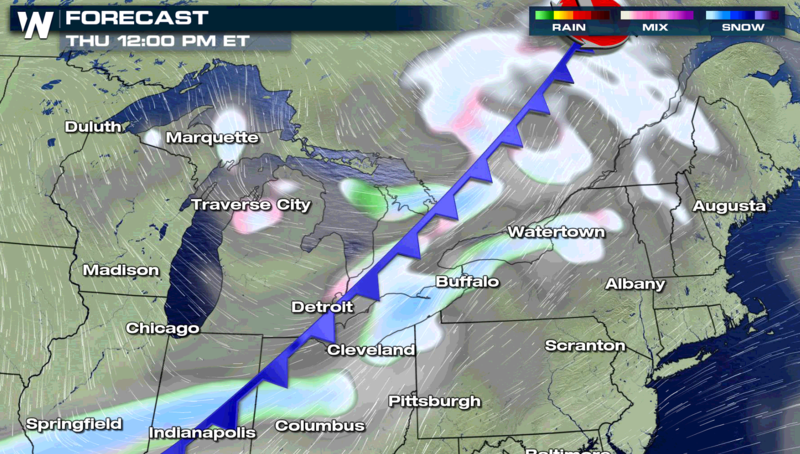 A trough and cold front will cross the Great Lakes into Friday. 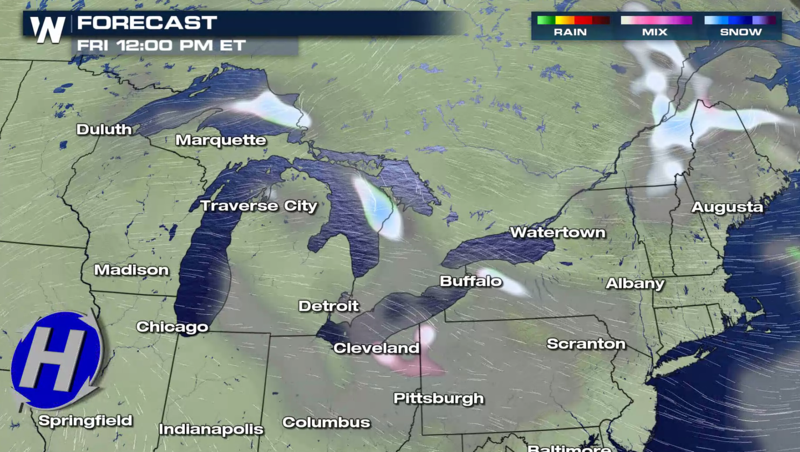 This will help to push much colder air across the warmer waters, fueling the lake effect snow. 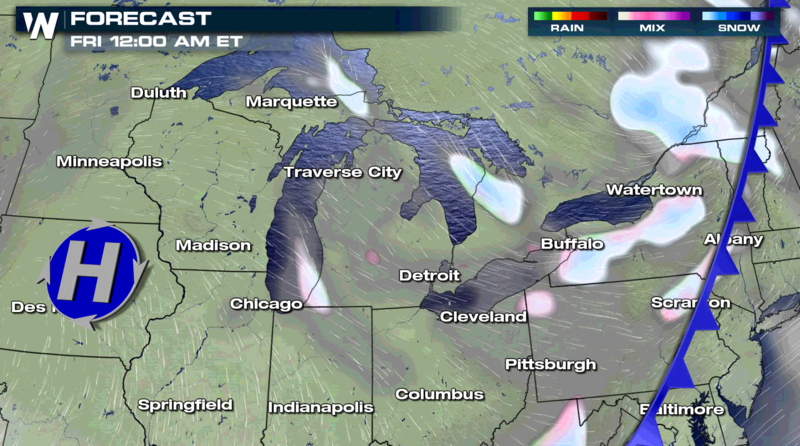 Drier high pressure will move into the region this weekend, bringing an end to most of the lake effect snow.